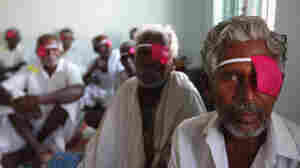 November 29, 2011  Founded in the 1970s in India to eliminate needless blindness, Aravind Eye Care has grown to 4,000 beds in seven hospitals — and its surgeons are among the most efficient in the world. The hospital system conducts 300,000 surgeries a year, and about half are free. November 22, 2011  Healthpoint Services says it has a business model that will not only help the world's low-income populations — but also make a profit. Based in India, the company offers patients videoconferences with doctors, cheap diagnostic tests and clean water. And it hopes to spawn imitators as it proves it can be profitable. Would Supercommittee Failure Roil Markets? November 18, 2011  The bipartisan committee still seems far from an agreement despite Wednesday's deadline. There's concern that if lawmakers don't make credible progress on reducing the budget deficit, the impact on Wall Street will be severe. November 16, 2011  The House Financial Services Committee voted on Wednesday to suspend nearly $13 million in bonuses paid to executives at Fannie Mae and Freddie Mac. The measure would also prohibit future bonuses. The Senate is expected to take up similar legislation. 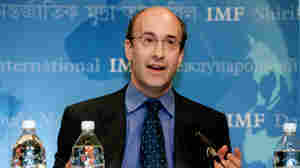 Harvard economist Kenneth Rogoff says higher inflation would help debtors by allowing them to pay back their debts with cheaper dollars. Does The Economy Need A Little Inflation? October 7, 2011  Central bankers hate inflation. But at least one prominent economist argues a moderate increase in inflation is exactly what the U.S. needs to boost the economy and keep it from falling back into recession. But the idea may be a hard sell. September 24, 2011  Global finance officials pledged on Saturday to take bolder moves to confront a European debt crisis that threatens to plunge the world into another deep recession. 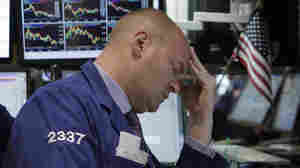 But sharp disagreements about exactly what to do can't offer much reassurance to markets rocked by uncertainly in recent weeks. September 21, 2011  The Federal Reserve announced Wednesday it will indeed be "twisting" its portfolio in a bid to drive down long-term interest rates. 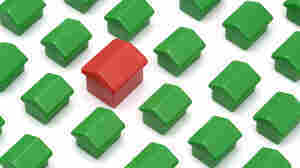 Fed policymakers also announced steps to support the mortgage market. September 17, 2011  Back then, the median male American worker earned just over $49,000 when adjusted for inflation, while in 2010 that worker made about $1,500 less. Back then, blue-collar workers had two things going for them that they no longer have. September 2, 2011  Job growth stalled completely in August, leading to renewed fears the U.S. economy could tip into recession. Employers added zero net jobs during the month, and the unemployment rate held steady at 9.1 percent. It was the first time the economy failed to add new jobs in nearly a year. August 7, 2011  The Los Angeles Urban Rangers are an art collective set on teaching Angelenos how to view nature in their everyday surroundings. Guest host John Ydstie travels with the Rangers on their newest expedition: to explore the L.A. River, a neglected natural resource. 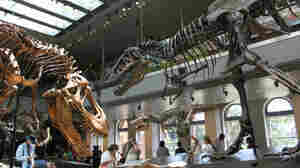 August 7, 2011  The new Dinosaur Hall at Los Angeles' Natural History Museum has some 300 dinosaur specimens on display. The exhibit's curator aims to inspire future generations of paleontologists and debunk common misconceptions. June 2, 2011  Fewer jobs were created in the private sector than expected and there's been a slowdown in manufacturing growth, reports said this week. 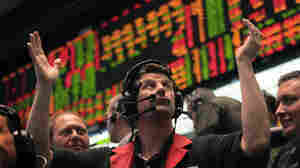 The news has left the stock market jittery, but experts don't expect this will cause the economy to slide into another recession.